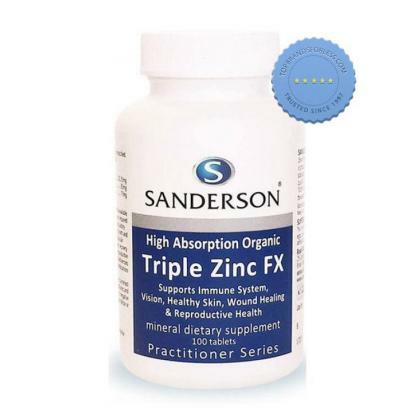 Enjoy all the benefits zinc has in the body with Sanderson Triple Zinc FX Tablets 100s. It is a specially formulated tablet that contains 3 organic and highly bioavailable forms of zinc to supports the body's processes, including the immune system, healthy vision and skin as well as reproductive health. 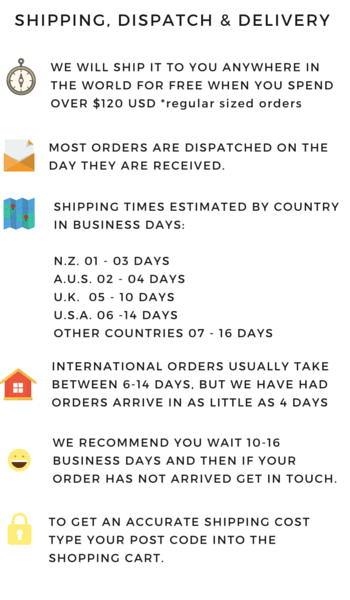 It contains the following: Zinc Orotate dihydrate (5mg zinc elemental) 32.25mg, Zinc Gluconate anhydrous (5mg zinc elemental) 35mg, Zinc Citrate dihydrate (5mg zinc elemental) 17mg. With superior low allergy formulation. This formulation is free from cereals, gluten, fish, crustaceans, molluscs, milk, eggs, peanuts, tree nuts, soy, celery, mustard, lupin, sesame seeds, yeast, sugar, artificial colours, flavours or preservatives. This is for adult use. Take one (1) tablet daily with food or as recommended by your healthcare professional. Do not exceed recommended dosage. If symptoms persist, consult your healthcare professional. Are there any precautions? Make sure to read the label prior to use. Use only as directed. Zinc may interact with some medicines. It may counteract zinc depletion or mitigate side effects. Store in a cool dry place, away from direct sunlight and moisture. Keep out of reach and sight of children. Check the ingredients to determine if you are sensitive to any of the contents. Do not use beyond expiry date. Discontinue use if rashes, redness, itchiness or irritation is experienced. Increasing your Magnesium levels with the help of Sanderson Organic Ultra Absorption Magnesium FX.